The main problem you will encounter with the most cryptocurrencies is scalability. The way the ledgers are being structured poses a major problem, especially after the platform becomes popular and a lot of people are using it. In the case of Lisk, that problem disappears. That is due to the fact that Lisk uses sidechains for every application. With sidechains is much easier to scale up. Also, the levels of security and speed are high due to this implementation. Another feature that makes Lisk special is the fact that it is an open-source platform and currently has 29 contributors. Also, it is claimed that Lisk is the first modular cryptocurrency. That means applications will run on top of the core and all applications will have their own sidechain. The main goal is to maintain the agility of the system and also to keep it as efficient as it was at the beginning. Can you mine for Lisk? How is Lisk mined? Lisk has some unique features when it comes to mining and one of them is the Delegated Proof of Stake. In order to contribute to the well-functioning of the system and be awarded in lisk coins, you will need to first be a delegate. So, delegates need to come to the system and compete with one another, in order to ensure a high level of security. Only the first 101 delegates have the privilege to secure the network and that could be a problem since some of the aspirers will give up from the start, as the chances are small. Without a fierce competition among the delegates, they will never strive to be always-on, faster and more secure. 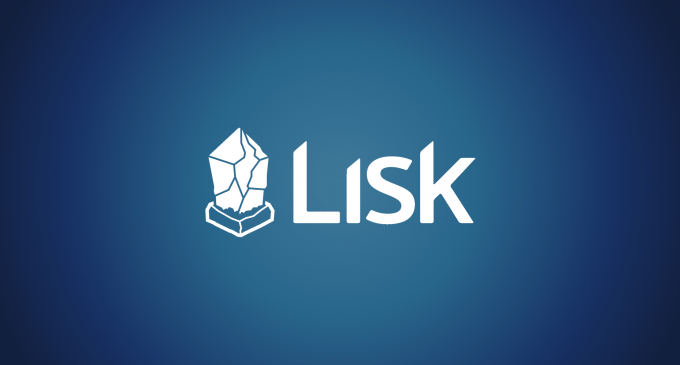 Lisk had its ICO in 2016 and a number of 100,000,000 LSK coins were created and distributed to the core team, partners, advisors and ICO participants raising $5.7 million, the fourth largest crowdfund in the history of the cryptocurrency industry. The safest place to buy cryptocurrencies is using an exchange broker. These are websites that are trustful and with them, you can buy cryptocurrencies with fiat money or even use cryptocurrencies that you already have to exchange them and buy other coins. In the case of Lisk, there are some popular exchange brokers that already have included it. Two examples with that respect are hitbtc.com and bitbay.net. These two exchanges have already been reviewed on our website. You can find them, together with other exchanges as well in our dedicated crypto exchange section. Make sure to check them in order to find out more details about crypto exchanges before you decide to open an account. How can I sell my Lisk? If you already own some LSK coins then the safest place to sell them is also a crypto exchange. Crypto exchanges can offer you a handful of alternatives. You can exchange your LSK coins with cash or you can sell them in exchange for other cryptocurrencies. By using a crypto exchange broker you are sure that the transactions will be settled at the market price and you will avoid some nasty situations. Besides the two exchanges that we’ve stated above, Changelly is another one that has support for Lisk at the present time. You can find a review for it in our crypto exchange section. There you can find more about other crypto exchanges as well. Make sure to check that material in order to find out more details about the most popular crypto exchanges. Which Lisk wallet should I use? If you want to own cryptocurrencies you will definitely need a wallet to store your private keys. When it comes to cryptocurrencies wallets you can choose from hardware wallets or online wallets. Unfortunately, no popular hardware wallet provider has current support for Lisk. However, if we talk about the online wallet, the best solution you can choose is lisk.io, which is the official LSK wallet. Most of the Lisk owners use it at the present time. If you want to find out more about other crypto wallets, you can check the section of our website dedicated to that. If you don’t want to get involved in all this kind of things, mining, exchanges, and wallets, but still want to get involved in the cryptocurrency industry there is an alternative for you as well. Online brokers have already included cryptocurrencies in their instruments list and now you can trade them like forex, stocks or any other assets. Unfortunately, Lisk is one of the coins that are not available for trading right now. If you want to find out more about brokers that included cryptocurrencies in their instruments list, feel free to check the crypto trading section from our website.